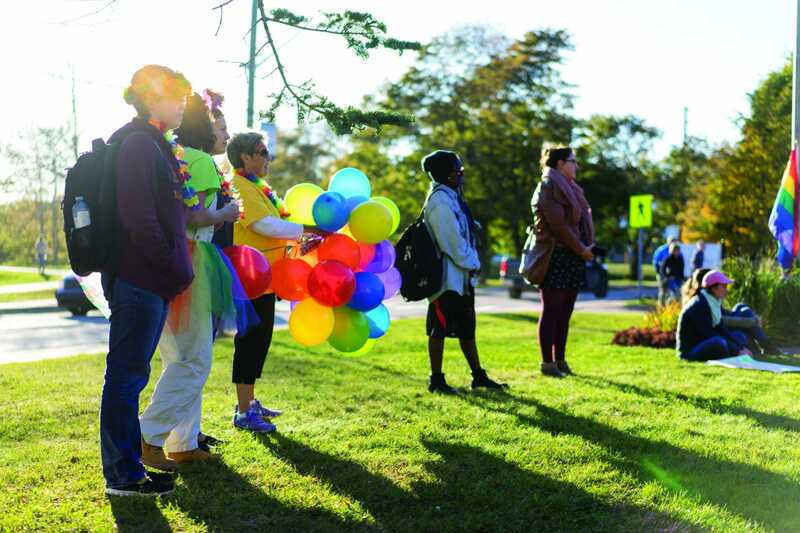 On Oct. 12, students, faculty and community members gathered in front of the Mount Allison Chapel to celebrate Sackville’s third annual Pride Parade. The first speaker was Melody Petlock, Mt. A’s SHARE (Sexual Harassment and Assault Response and Education Services) advisor. She spoke on how far the Sackville community has progressed since she first began working for the University in 1997. 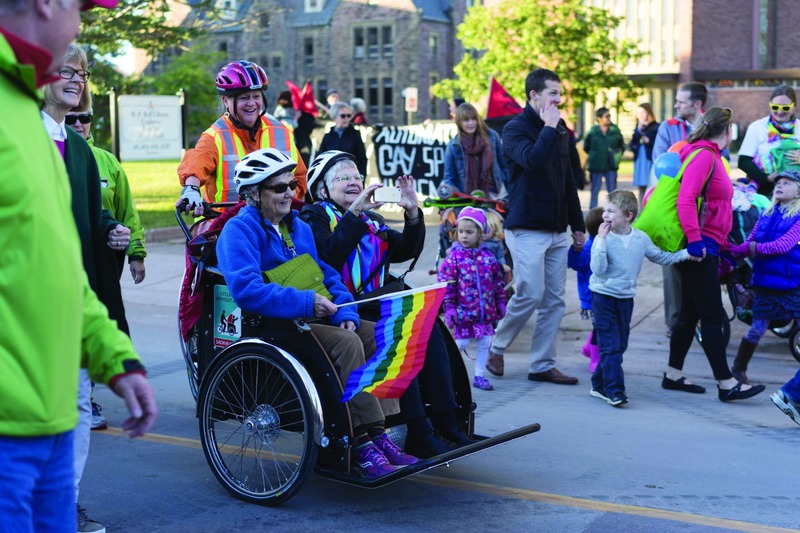 Four years ago, the only acknowledgment of pride was a flag raising: “I remember rainy days when there were a dozen of us around that flag.… It’s amazing to see a rainbow of people out there, so many you can’t even pick out the faces,” said Petlock. Seth Winward, co-president of Catalyst (Mt. A’s support and advocacy group for sexual and gender minorities and their allies), was next to speak. He spoke on the history of pride events in North America and the importance of remembering those who made it possible for pride events to evolve from protests to celebrations. The crowd proceeded to turn their attention to the flagpole and began to cheer as the Pride flag rose. Ron Atkin, deputy mayor of Sackville, closed the ceremony with well wishes and support from the Sackville community, and asked participants to keep Eldon Hay in their thoughts as they started the walk down to city hall. 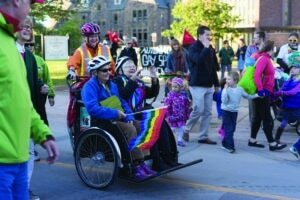 As the MASU organizer of this year’s Pride, Emma Miller said, “I was thrilled to see so many students, staff and community members actively showing their pride. The planning process was a little hectic, however having Matt Pryde [Sackville’s manager of recreation programs and events] and the Town of Sackville provide their assistance and support made for a great event.” She expressed her appreciation for all those who came out to show their support.